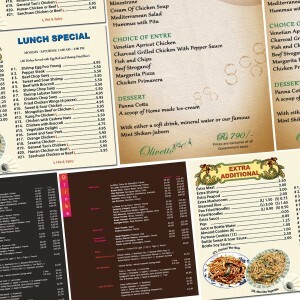 Take out menus are used for the take-away deals at the restaurants and food outlets. The do not only provide essential information about the product offerings but also prove out as a handy tool for business development. As food menu is to the point and brief, customers do not take them as boring advertisement material; instead, read them properly and respond likewise positively. You can get them in popular as well as customized size at any quality printing portal. 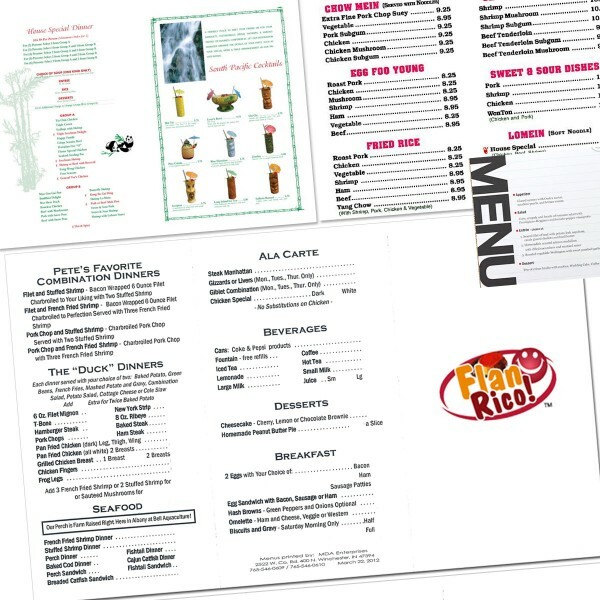 Take Out Menus to Serve Your Customers! Customers need complete information about what you have for them. How much does it cost and what is the process of availing that particular product or service, everything is written in the menu printing. In FMCG industry, particularly in hospitality organizations, menus are very important. 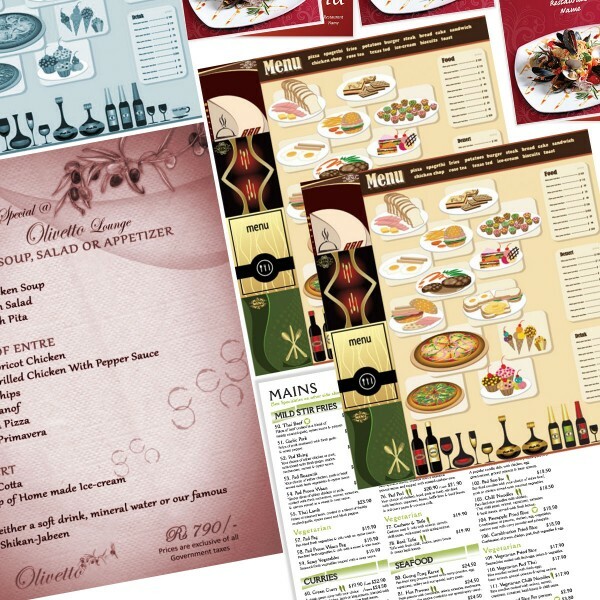 No matter whether you are a mega five star restaurant or a small cafe, your take out menus help your customers decide the most suitable item for them. Mostly customers themselves ask for the menu chart to help themselves make a better deal. In addition to this, companies and restaurants can use the same menu to market their new product offerings and services. It has been regarded as one of the most effective and highly profitable investments with regards to business development and customer relations. 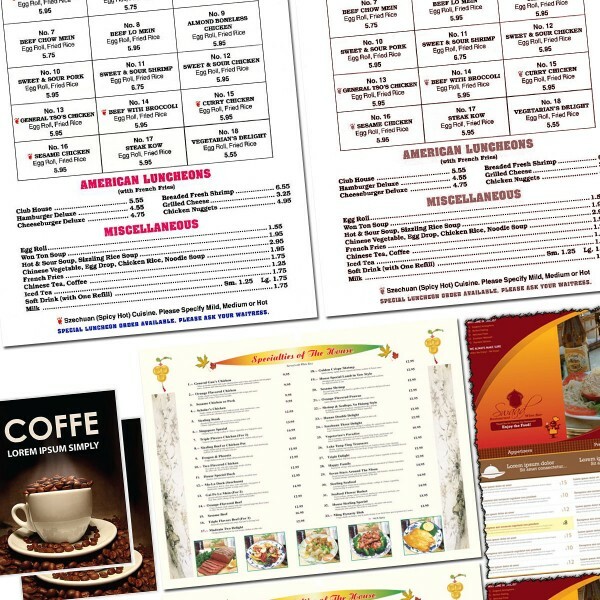 Effectively printed menus and brochures can work as powerful motivators to bring new clients and develop business. At RegaloPrint, you can print the product of your choice as per your wishes and requirements. In order to design a convincing item, make sure to complete your proper homework and craft it carefully. Do not overlook them as marketing pieces, because they are probably the best item to serve the cause. They can be part of direct mailing and door to door marketing program as well. In short, there are probably dozens of areas where you can use food menus or takeaway menus to market your business and service offerings. From marketing point of view, if you couple your brochures and menus with limited-time coupons, the success rate becomes more than double. 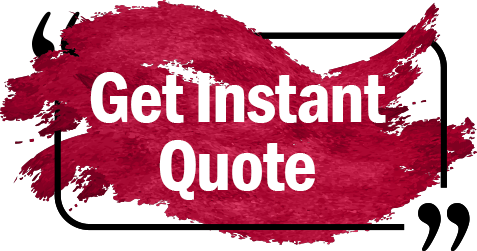 Contact our customer support today, to get the product of your choice totally designed in your own way. 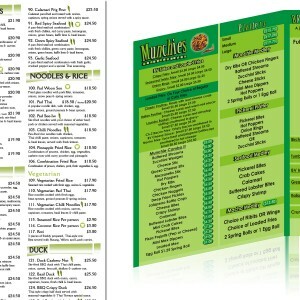 We can provide menus in all popular and standard sizes alongside option to customize them.